Note: Portions of this review were copied from my original Blu-ray review. 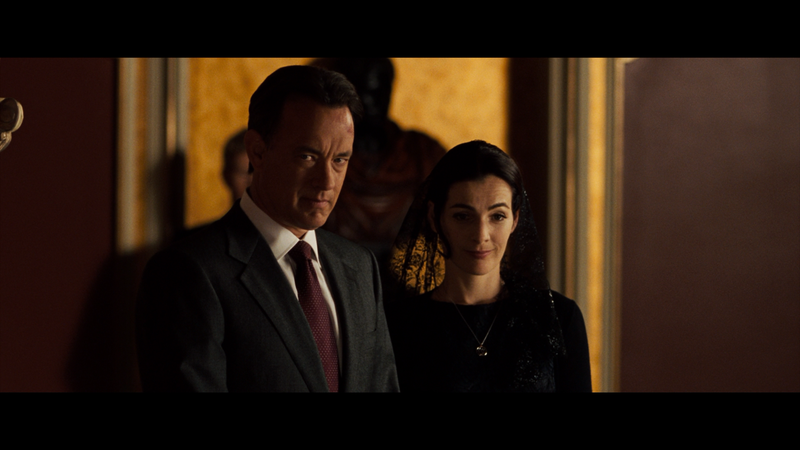 Angels & Demons, the sequel to 2006’s The Da Vinci Code, was originally slated for a 2008 release but due to the writers’ strike, it was delayed. Many, myself included, felt The Da Vinci Code was a bloated and boring adaptation to a controversial international best seller that told the story that Jesus took on a wife and his bloodline still existed. However, where there was extreme interest in Da Vinci, such controversies were basically non-existent with Angels & Demons. 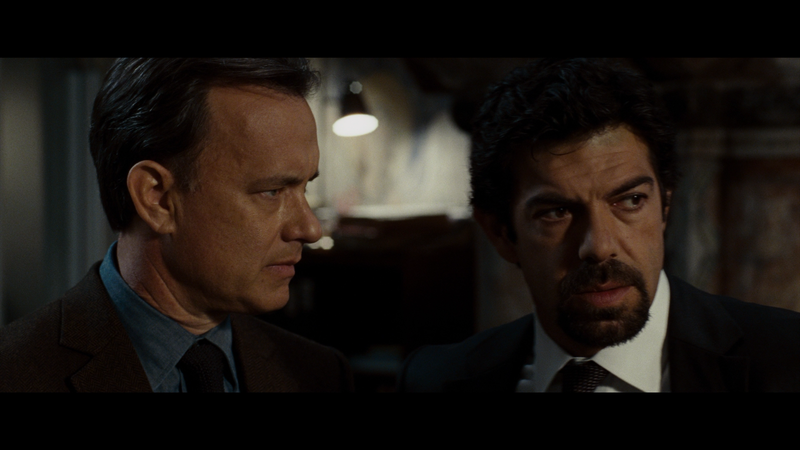 Assisting on the race against time are Camerlengo Patrick McKenna (EWAN MCGREGOR), Commander Richter (STELLAN SKARSGARD) of the Swiss Guard and Inspector Olivetti (PIERFRANCESCO FAVINO) of the Vatican police. The movie isn’t particularly interesting as it seems the characters were more invested in the events than the audience ever was and as many flaws The Da Vinci Code had, it at least had a more layered plot and an international flair (Paris to England to Scotland), neither of which Angels & Demons contained. 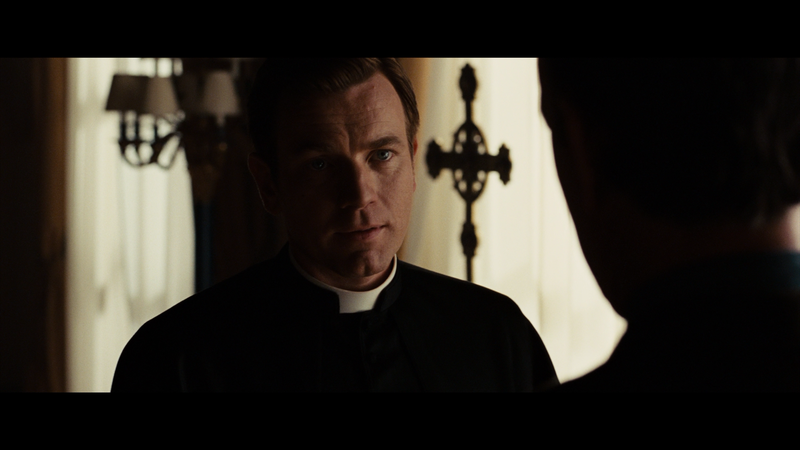 Instead, 95% of the movie takes place in Vatican City and it’s a fairly linear story with an even more predictable ultimate villain as director Ron Howard, plus in large part screenwriters David Koepp and Akiva Goldsman and author Dan Brown, don’t disguise him that well. Howard and company painfully point to a couple characters which then in turn pointed to that character we should least expect. In any case, Angels & Demons isn’t as bad as the original primarily because of Tom Hanks’ charisma, which is the only reason. Like no other actor, Hanks is a man who could read the phone book and we would all lean forward with fascination, even if the story in this case was less interesting than a phone book. Good news is, while the first half of the film is quite slow and even partially confusing especially during the development of the anti-matter (don’t ask), it picks up pace as our intrepid characters run around Vatican City while within the Vatican, Catholic politics erupts as a new pope must be selected (and the leading candidates have been kidnapped). The supporting cast is decent enough, though nobody particularly stands out. 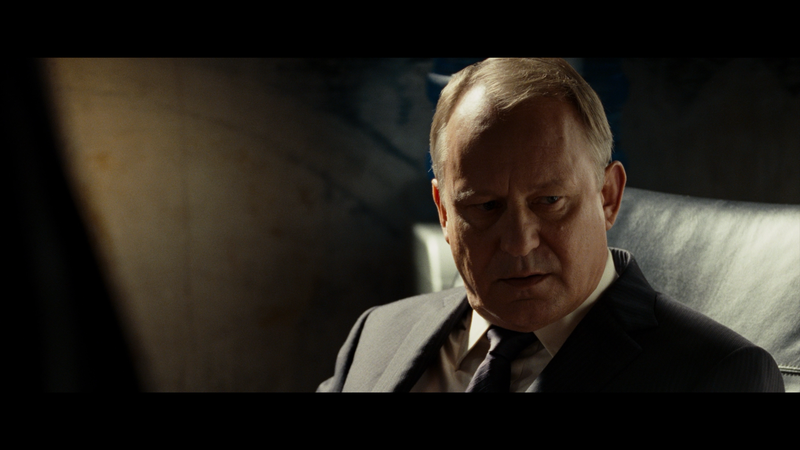 Ewan McGregor is a fine actor and plays his role nicely, but he lacked the substance compared to someone like Alfred Molina or Jean Reno; Stellan Skarsgård is, as always, suspicious enough but not very effective and Ayete Zurer as the solo female character is surprisingly duller than Audrey Tatou. I guess if anything in this film impressed me; it was the recreation of St. Peter’s Square, a location critical to the film’s plot. Much how set designers were able to recreate Louvre Museum for certain shots. But that’s as far as it goes for the film. It’s a movie that when it was all done I could care less about. It’s not particularly awful or even boring, but it also wasn’t very good. It’s a movie that I probably will forget within a few days. Sure, Angels & Demons may not be as much of a bore as The Da Vinci Code, it still has plenty of problems especially with a plodding storyline and still quite a bit of exposition. This 2-disc release is contained in a black HD slim case. Inside is a redemption code for the Digital HD copy. No features are on the disc. Rome Was Not Built in a Day (17:30; HD) takes a look at the making of Angels & Demons from the production, costume design, production design, visual effects, music, etc. It’s a decent featurette giving insights from the crew about their respective departments. Writing Angels & Demons (10:09; HD) – Author Dan Brown and Screenwriters David Koepp and Akiva Goldsman, along with Ron Howard and Brian Grazer, discuss adapting the novel into a feature film. Characters in Search of the True Story (17:10; HD) – This featurette guides us through each major character featured in the film with that actor talking about their purpose with the plot. CERN: Pushing the Frontiers of Knowledge (14:52; HD) – A look at one of the world’s largest and most respected scientific research centers. This is kind of cool featurette into the facility that is very important in research but one we, the general population, know nothing about. Handling Props (11:35; HD) is an ordinary featurette focusing on creating the props for the film from the books, rings, guns, etc. I’ll give them credit for leaving no stone unturned with the making of the film. Angles & Demons: The Full Story (9:46; HD) – This is the main ‘making-of’ featurette where we check out some behind-the-scenes footage intermingled with comments from the cast and crew. Not too bad for a basic ‘making-of’. This is an Ambigram (4:46; HD) – An ambigram is a word that can be read from more than one viewpoint, so right side up or upside down. This features greatly into the plot and a nice little info featurette into ambigrams. 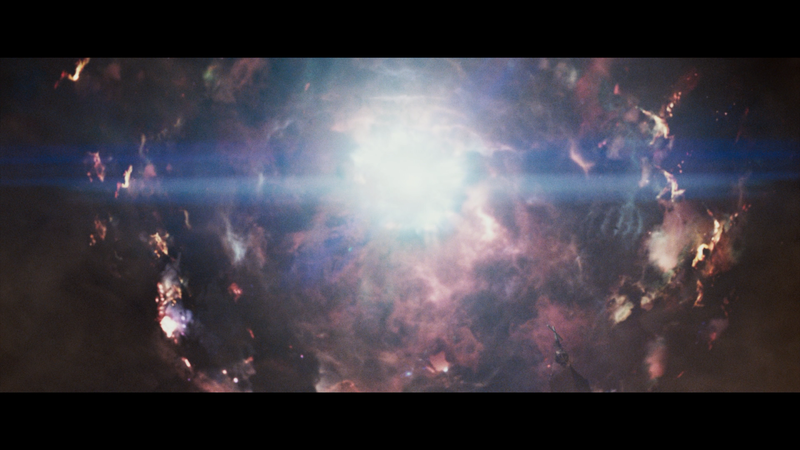 Also included is the Teaser Trailer (1:11; HD) and Theatrical Trailer (2:16; HD). 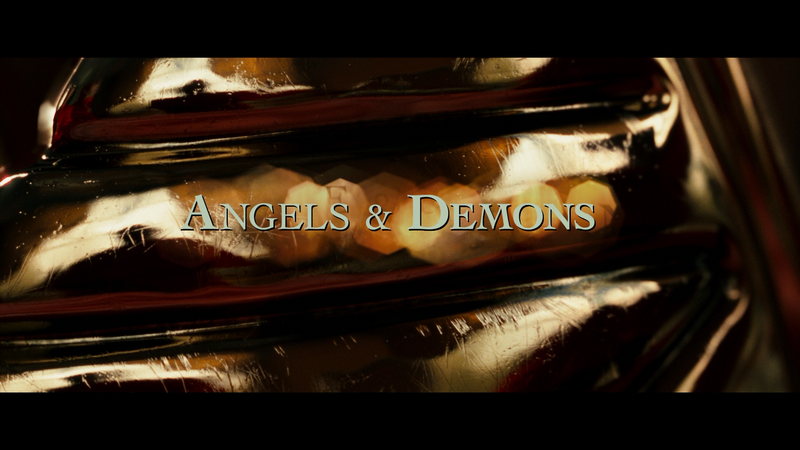 Angels & Demons, like its predecessor, is released with a 2160p ultra-high definition transfer (versus the fake 4K Blu-ray released a few years ago) and presented in its original 2.40 widescreen aspect ratio. The transfer is well done and comparatively, moderately better than the Blu-ray release, however I’m not quite sure it’s significant. Colors aren’t overly vibrant but the movie itself is darker in tone anyway though black levels are fairly stark but detail is sharp and well defined. The transfer is clean, free of any flaws. As with The Da Vinci Code UHD release, Angels & Demons gets an upgrade in its audio going from DTS-HD MA 5.1 to the newer Dolby Atmos. The former already was solid but gets that extra boost and there’s plenty all around to judge, from the numerous dialogue-centric scenes which were crisp and clean while the action sequences, such as car chases and even the church fire scene, provide excellent depth running through each channel. The LFE gives a nice advancement for an added dimension that one would experience at the theater. 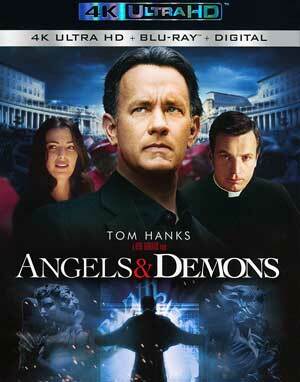 Overall, Angels & Demons is technically better than The Da Vinci Code in many regards especially in terms of pacing and a tighter story and while Tom Hanks delivers in his performance and Ewan McGregor and Stellan Skarsgard make for fine supporting roles, it can’t compare with the likes of Ian McKellen, Paul Bettany and Alfred Molina. Having watched both movies back to back, I enjoyed this one ever-so-slightly more. As far as this UHD release goes, it is a moderate upgrade over the Blu-ray releases with the audio probably being the most noticeable difference.